CHINI LIVE..Keeping up with the latest Buzz! 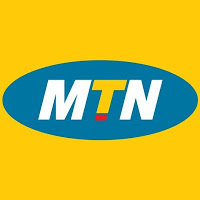 : An MTN staff has been Kidnapped! An MTN staff has been Kidnapped! According to Vanguard, a staff of one of the telecom giants, MTN, has been kidnapped. Yemi Owadokun, 44, was on his way to work when he was nabbed at Ologunfe junction, Awoyaya, at about 6:10am. The ransom demanded is N70 million. #Godhelpus . We pray he is released quickly and unharmed. #Amen.